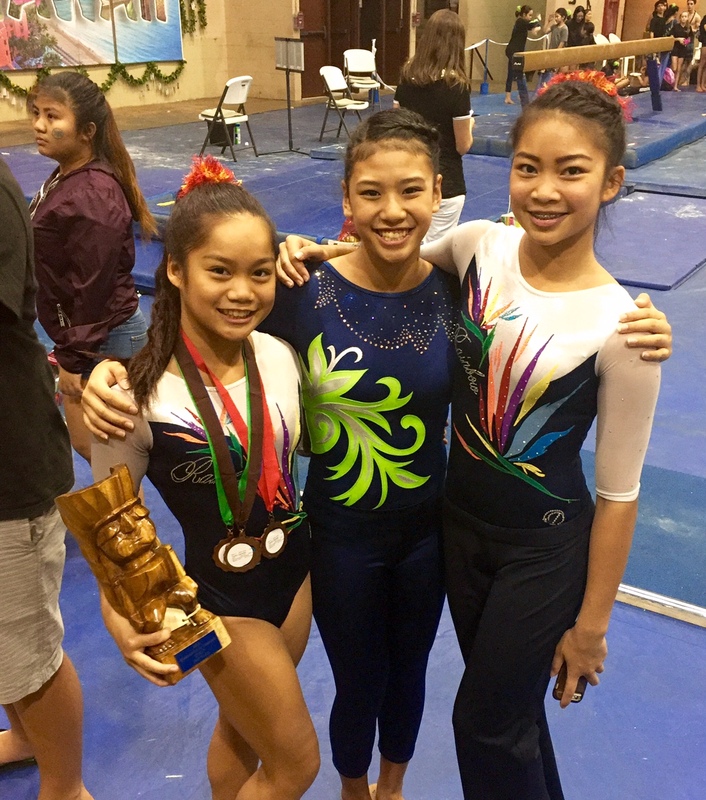 A number of Academy students tumbled their way to the top in various events at the Gymnastics in Paradise Invitational from January 8 to 10. The Invitational featured talented local, national and international gymnasts, including athletes from Great Britain, New Zealand, California and Ohio. In her age group, junior Chloe Camello, a level 10 gymnast, placed second in the vault and second all-around. In their age groups, eighth grader Joy Libarios took the top spot in the uneven bars, while fellow level-nine gymnast Taylor Camello, a freshman, finished second overall. Congratulations ladies!